The Legal and Ethical Environment of Business has been uniquely created to meet the needs of instructors teaching either a flipped classroom or on-line course. Unlike a traditional e-book that is simply an e-reader or pdf version of a printed text, this publication is designed to work like a webpage, linking out to web sites, youtube videos, the Legal Studies Classroom Blog and other internet legal educational resources. The interactive quality allows motivated readers to extend their learning to the limits of their intellectual curiosity. Unlike traditional textbooks that stretch or compress topics coverage in order to meet uniform chapter length requirements, this GRL publication gives topics their deserved coverage. Mark DeAngelis is a teaching faculty member of the BLAW program at UConn. He is a two time finalist for the Charles M. Hewitt Master Teacher award offered by the Academy of Legal Studies in Business. He maintains a YouTube channel which hosts music videos on legal concepts. He is the founder and editor of The Legal Studies Classroom Blog, an internet hosting site for unique and interesting resources for use in legal education that is visited between 3,000 and 4,000 times each month by students and instructors. 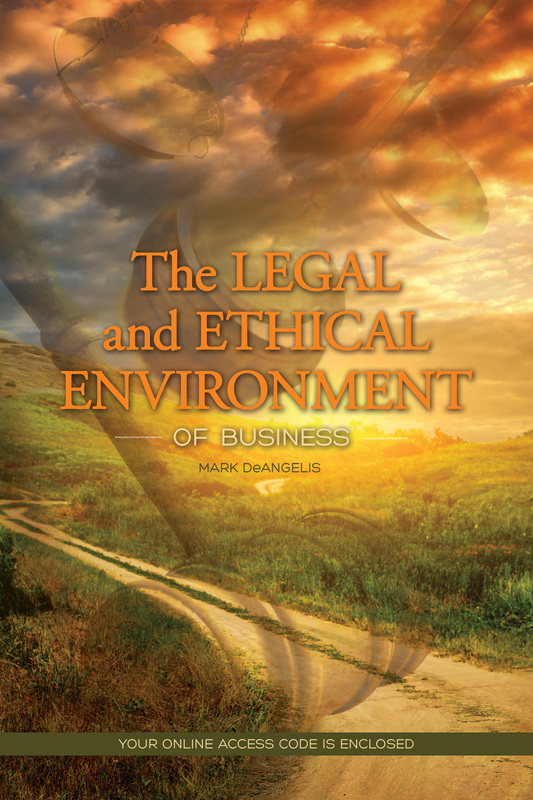 He has been teaching The Legal and Ethical Environment of Business for nearly 20 years. He graduated first in his law school class in 1981.